A third-generation business, Kassel Imports played an early and key role in the use and supply of Decorative Vinyl Films and Vinyl Products in the decorative market in North America. 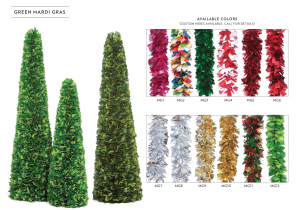 We continue to supply manufacturers of holiday decorations, artificial trees and wreaths, store displays, parade floats and other all use vinyl plastic products. Because of our vast experience, customers partner with Kassel Imports for the best solutions in vinyl films and vinyl products. Customers come to us when they are looking for a vinyl product which is colorful, shiny, glitzy, or eye-catching. This is because our manufacturers offer the most creative vinyl product offerings. All of our vinyl products are customized to meet your specific needs. Kassel Imports sell to converters and manufacturers of finished products. We also can source finished consumer products for the decorative and other markets. Vinyl PVC has many advantages. First of all, vinyl PVC is cost-effective and provides value. In addition, it is inherently fire-retardant, which is an important safety requirement for many end uses. Also vinyl PVC is chemically stable as well as being printable. Vinyl PVC can also be metallized to produce a shiny and reflective surface. This is of value in both thin and thick configurations. Furthermore, it is shelf-stable. Kassel Imports offer low minimums in an almost infinite variety of colors. In addition, we have many surfaces types available. 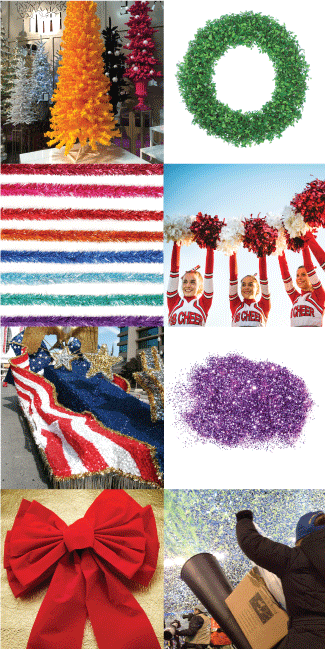 Our Vinyl Films can also be color-coated or laminated. As a result, dazzling visual effects can be produced. Iridescent, holographic, and embossings are just a few of the effects possible. PE polyethylene to be flocked, for example. Since we source these films as well, it is always our intention to offer what works for our clients.We will always seek to find the best solution. This is done regardless of the base product or raw material used. Kassel Imports, a third-generation business, has years of experience and knowledge of Decorative Vinyl Films. As a result, we can suggest the best solutions for each customer. Finally, our connections and relationships help us find the best sources for your Decorative Vinyl Films needs. Contact us today with questions about your Vinyl Film needs. have any questions on Decorative Vinyl Films?